Background/Aim: To assess the prognostic indicators preoperatively presenting and influencing the mortality rate following esophagectomy for esophageal cancer. Materials and Methods: This study was a retrospective cohort study, conducted at the Department of Surgery, Lady Reading Hospital, Peshawar, from 1 January 2003 till 31 December 2008. Group 1 included patients who had undergone sub-total esophagectomy and were alive at completion of 12 months; whereas Group 2 included those patients who died by the completion of 12 months. Data were recollected from the Data Bank. A list of variables common to all patients from both groups was categorized and subsequently all data related to each individual patient were placed and analyzed on the version 13.0 of SPSS R for Windows. Results: Significant findings of a lower mean level of serum albumin from Group 2 were observed, whereas serum transferrin levels, also found lower in Group 2, were not statistically significant. Findings of serum pre-albumin, with a mean value of 16.12 mg/dl (P<0.05) and Geansler's index for the evaluation of the presence of obstructive pulmonary disease prior to surgery showed a lower reading of mean ratio in Group 2. Anastamotic leak was not a common finding in the entire study. In most cases, the choice of conduit was the remodeled stomach. Nine patients from Group 2 were observed with evident leak on the fifth to seventh post-operative day following contrast swallow studies. This was statistically insignificant (P = 0.051) on multivariate analysis. Conclusion: Pre-operative variables including weight loss, low serum albumin and pre-albumin, Geansler's index, postoperative chylothorax, pleural effusion, and hospital stay, are predictive of mortality in patients who undergo esophagectomy for esophageal cancer. Background/Aim: The prevalence of acute upper gastrointestinal bleeding (AUGIB) has undergone a change after implementation of eradication therapy for Helicobacter pylori in peptic ulcers effective prevention of esophageal variceal bleeding and eventually, progressive use of low dose aspirin and other nonsteroidal antiinflammatory drugs (NSAIDs). To evaluate this subject, we performed a prospective study in two main University Hospitals of Shiraz (the largest city of southern Iran). Materials and Methods: All adults who were admitted in emergency room with impression of AUGIB and existing patients who developed AUGIB were included in the study. Gastroscopy was done with a follow-up for the next 15 days. Results: 572 patients (mean age: 54.9 years) entered in the study. The most common presenting symptom was hematemesis or coffee-ground vomits (68%). 75% of patients gave history of consumption of low dose aspirin or other NSAIDs regularly. Gastric and/or duodenal ulcers were the most common causes (252/572, 44%) of AUGIB (Gastric ulcer: 173/572, 30% and duodenal ulcer: 93/572, 16%, respectively). Esophageal varices were the third common cause (64/572, 11%). 36 (6%) of the patients died. Mean age of these patients was higher than the patients who were alive (64.8 vs. 54.2 years, P = 0.001). Other than age, orthostatic hypotension on arrival (267/536 vs. 24/36, P = 0.018) and consumption of steroids (43/536 vs. 10/36, P = 0.001) were significant factors for increasing mortality. Conclusion: The most common cause of AUGIB, secondary only to NSAIDs consumption, is gastric ulcer. Mortality of older patients, patients who consumed NSAIDs and steroids concomitantly, and patients with hemodynamic instability on arrival were higher. Background /Aim: It has been shown previously that in primary care settings in UK abnormal liver enzymes are not adequately investigated and followed up; hence potentially treatable chronic liver diseases remain undiagnosed. No such published data is available with regard to secondary care settings. The aims of this audit were, to determine if the current practice in our hospital with regards to investigation, management and follow-up of patients with elevated liver enzymes is in accordance with American Gastroenterology Association (AGA) guidelines and to analyze the effect of age and elevated parameters of liver blood tests on mortality in patients with bacterial sepsis . Materials and Methods: A total of 4816 patients were admitted to our acute medical receiving unit during a period of 6 months, of which 378 were with elevated liver enzymes. Results and Conclusion: The common conditions that resulted in elevated liver enzymes were sepsis (123) and alcohol-related liver diseases (120). All patients with elevated parameters of liver function tests (LFTs) were fully investigated, managed and followed up in accordance with AGA guidelines. In addition, in patients with bacterial sepsis, old age was associated with increased mortality, while development of jaundice in elderly patients with bacterial sepsis was associated with increased survival. Background/Aim: Earlier reports from Saudi Arabia have shown high prevalence of Helicobacter pylori infection. However, recent studies have documented a reduction in the infection prevalence. No prior study has assessed the prevalence in morbidly obese Saudi patients. We aimed to study the prevalence of H. pylori infection in a group morbidly obese Saudi patients referred for endoscopy prior to bariatric surgery. Materials and Methods: We retrospectively reviewed the medical records of all patients who were referred for upper endoscopy prior to bariatric surgery from June 2006 to September 2008. All data were recorded including patient's demographics, comorbid conditions, endoscopic and histological findings. Results: There were 62 patients included, 20 males and 42 females. The mean age was 34 years (range 18 - 51) with a mean BMI of 55 Kg/m 2 (range 35 -92). 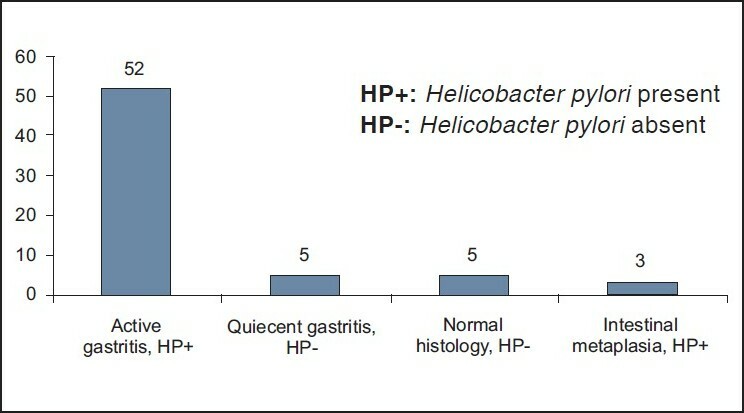 H. pylori were present in 53 patients (85.5%) with chronic active gastritis. All patients with positive H. pylori had chronic gastritis of variable severity. Intestinal metaplasia was present in 5%. The prevalence of H. pylori infection was similar in patients with and without co-morbid conditions. 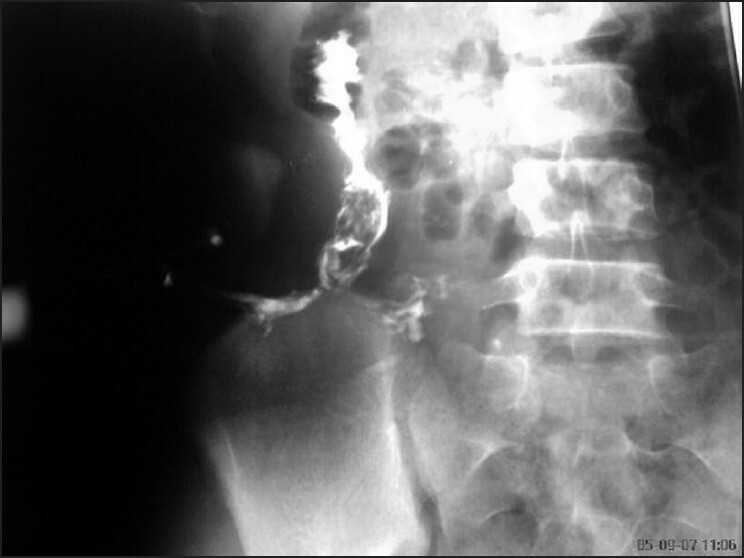 Main endoscopic findings were gastritis in 67.7%, hiatus hernia in 13%, and gastric erosions in 13%. No patient had duodenal or gastric ulcer. Conclusions: There is a high prevalence of H. pylori infection in morbidly obese Saudi patients undergoing bariatric surgery being referred for upper GI endoscopy. Further prospective studies are needed to evaluate the clinical implication and benefit of eradication treatment of infection in these patients. Background/Aims: To establish the efficacy of two-port appendectomy as an alternative to standard laparoscopic and open appendectomy in the management of acute appendicitis. Materials and Methods : Of the 151 patients included in the study, 47 patients were in the open group, 61 in two-port and 43 patients were included in the three-port group. Only patients with uncomplicated acute appendicitis were included in the study. Patients with complicated appendicitis like perforated appendix, appendicular lump and appendicular abscess were excluded from the study. Patients converted to open procedure after initial diagnosis and patients with other pathology in addition to appendicitis were also excluded. Patients with recurrent appendicitis and chronic appendicitis were excluded. The total number of excluded cases was 50. Data were compared with cases of open and three-port appendectomy. Results: The mean operative time was 43.94, 35.74, and 59.65 min (SD: 18.91, 11.06, 19.29) for open, two-port, and three-port appendectomy groups respectively. Mean length of stay in days was 3.02, 1.93, and 2.26 (SD: 1.27, 1.04, 1.09) for open, two-port, and three-port appendectomy groups respectively. Surgical site infection was significantly lower (P = 0.03) in laparoscopy group as compared to that in open appendectomy group. Seven patients (4.63%) developed surgical site infection, 5 (10.63%) in the open and 2 (1.92%) in the laparoscopy group. Surgical site infection was 1.63% and 2.32% in two-port and three-port appendectomy groups respectively. Conclusions: For uncomplicated appendicitis, the two-port appendectomy technique significantly reduces operative time as well as length of hospital stay. It also reduces surgical site infection as compared to open appendectomy group. Background/Aim: To study the changing pattern of acute intestinal obstruction at a teaching institute. Patients and Methods: It is a prospective descriptive study conducted at a teaching hospital during the period from June 2004 to June 2009. All patients with clinical or radiological evidence of acute intestinal obstruction were included in this study regardless of the gender of the patient. Patients below the age of 10 years were excluded from the study. The treatment strategy was planned ranging from conservative treatment to emergency laparotomy after resuscitation and rehydration of the patient. Details of individual patients were recorded on a pro forma sheet and data analyzed statistically on SPSS version 14. Results: A total of 229 patients with acute intestinal obstruction were admitted and treated. The mean age of the study population was 43.08 ± 13.07 years. Postoperative adhesions accounted for 41% (n= 95) of the total cases, followed by abdominal tuberculosis (25%, n= 58), obstructed/ strangulated hernias of different types (18%, n= 42). There was an obvious change in the pattern of etiology of acute intestinal obstruction as the common causes were postoperative adhesions and abdominal tuberculosis instead of obstructed inguinal hernias. Conclusion: An increase in the adhesive obstruction and a concomitant decrease in the incidence of obstructed hernias indicate a changing trend towards early operation before it gets complicated. Abdominal tuberculosis is emerging as another common cause of acute bowel obstruction. Background/Aim: The use of intravenous acid-suppressive therapy for stress ulcer prophylaxis in critically ill patients with specific risk factors has been recommended for over a decade. However, there is a lack of supporting data regarding the extension of such therapy to non-critically ill patients (non-ICU). The aim of this study was to compare appropriate indications with current practicing patterns in adult non-ICU and ICU patients, contributing factors and financial impact of inappropriate use. Materials and Methods: A prospective cross-sectional study was carried out at a tertiary teaching Hospital in Riyadh, Saudi Arabia. For a period of 4 consecutive months, all hospitalized patients on IV PPI, aged 18 and above, were identified. A concise listing of indications considered appropriate for the use of IV PPI was pre-defined based on material from available literature and guidelines. Results: A total of 255 patients received IV PPI. Inappropriate use of IV PPI was significantly higher in non-ICU (71.7%) than in ICU (19.8%) patients (P=0.01). The most common cause for inappropriate use in non-ICU patients was stress ulcer prophylaxis (SUP). In ICU patients, appropriate indicators for IV PPI were SUP (47.9%), PUD (11.5%), and the UGIB (20.8%). There was a high association between appropriate uses of IV PPI with respect to endoscopic procedure and also between appropriate uses of IV PPI to subsequent discharge with oral PPI in non-ICU patients. The total estimated direct cost (drug acquisition cost) for inappropriate use of IV PPI during the study period was 11,000 US dollars. Conclusion: Inappropriate IV PPI utilization was predominant in non-ICU patients, mostly for stress ulcer prophylaxis that leads to a waste of resources. Applying appropriate policies, procedures and evidence-based guidelines, educated physicians and surgeons can clearly limit inappropriate IV PPI use. Background/Aim: We aimed to study whether sedation reduces discomfort during endoscopy and a comparison of longer-acting diazepam with shorter-acting midazolam. Patients and Methods: A prospective, randomized, single-blinded study was conducted at the Department of Medicine at Government Medical College and Hospital, Chandigarh, and was completed over a period of 6 months. The patients were randomized to receive either placebo or sedation with midazolam or diazepam before endoscopy. The endoscopist and the observer recording patient's/physician's responses were blinded to the drugs administered. Two hundred and fifty two consecutive patients undergoing diagnostic or therapeutic upper gastrointestinal endoscopy were recruited. The patient's discomfort and the physician's comfort during the procedure were recorded on a visual analogue scale rated from 1-10 with-in 10 minutes of the procedure by an independent observer. The Patient's discomfort ratings were further divided into 3 groups, comfortable (score, 1-3), satisfactory (score, 4-7) and uncomfortable (a score of >7). Similarly the physician's ease of performing the procedure was also recorded on the same scale. This was again divided into 3 groups: easy (score, 1-3), satisfactory (score, 4-7) and difficult (a score of >7). Results: Out of the total of 252 patients, 82 patients received no sedation (group I), 85 received diazepam (group II) and 85 received midazolam (group III). There was no statistical difference in the discomfort experienced by the patients during endoscopy when sedation was used (P=0.0754). Out of 252 patients, 49 underwent endoscopic procedures. Nineteen patients were included in group I, 18 in group II and 12 in group III. Only 10 (20%) patients undergoing endoscopic procedures complained of significant discomfort, but there was no difference in the ones undergoing interventions with or without sedation (P=0.854). The physicians were more comfortable in performing endoscopic procedure in sedated patients, however, the difference between patients in group II and group III was not statistically significant (P=0.0461). Both diazepam and midazolam fared equally well in increasing physician's comfort (P=0.617). Conclusion : There was no difference in the patient's discomfort with regard to the sedative used (midazolam or diazepam). 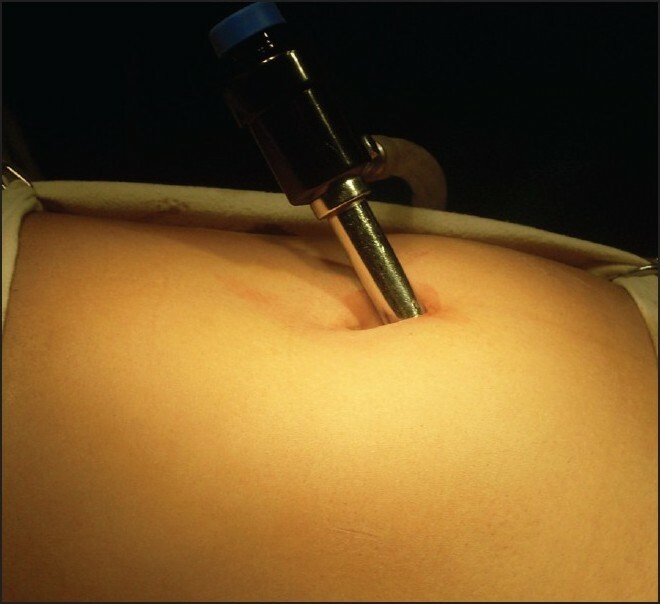 Although endoscopy was easy or satisfactory in the majority of patients in the unsedated as well as the sedated groups, more often the endoscopist found it difficult to do endoscopy on the unsedated patients. 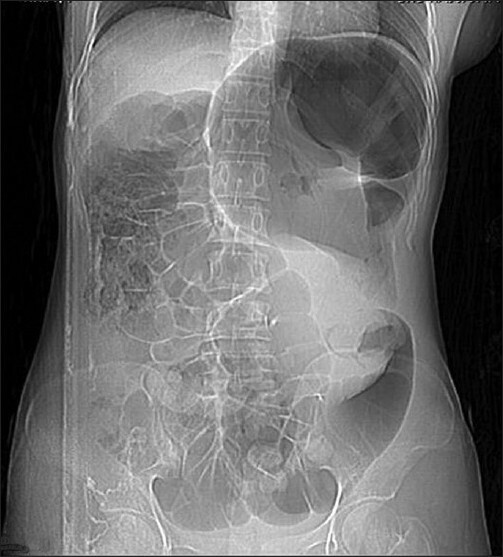 Background/Aim: The etiology of acute intestinal obstruction, which is one of the commonest surgical emergencies, varies between countries and has also changed over the decades. We aimed to provide a complete epidemiological description of acute intestinal obstruction in a tertiary care hospital in Eastern India. Materials and Methods: This was a retrospective study of patients admitted in our unit with a diagnosis of acute intestinal obstruction between the years 2005 and 2008 at Medical College, Calcutta. The study comprised of 367 patients. Results: Acute intestinal obstruction was the diagnosis in 9.87% of all patients admitted with males (75.20%) grossly outnumbering females. The commonest age group affected was 20-60 years. In our patients, the main cause of obstruction was obstructed hernia followed by malignancy with adhesions coming third. Intestinal tuberculosis was an important cause for obstruction in our patients comprising 14.17% of patients. Conservative management was advocated in 79 patients while the rest underwent surgery. Postoperative complications occurred in 95 patients and of these, 38 patients had a single complication and the rest, more than 1. The main complications were wound infection, basal atelectasis, burst abdomen and prolonged ileus. The mortality rate was 7.35% (27 patients). The highest mortality occurred in those with intestinal tuberculosis. Conclusion: This study demonstrates that the pattern of intestinal obstruction differs from the Western world with obstructed hernias being the most important cause and also emphasizes the fact that intestinal tuberculosis assumes a prominent role. It also highlights the necessity of using universal precautions because of the ever increasing number of HIV patients in those with intestinal obstruction. 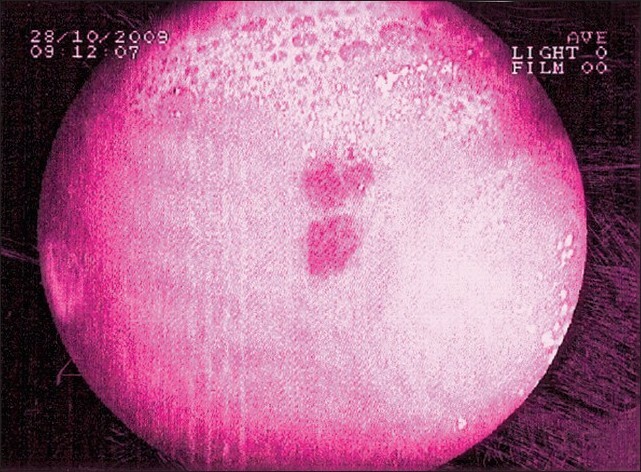 Wandering spleen is a rare condition defined as a mobile spleen only attached with its pedicle. It can be complicated by a volvulus, which is a surgical abdominal emergency. Preventing infarction is the aim of a prompt surgery that can preserve the spleen and then proceed to splenopexy. 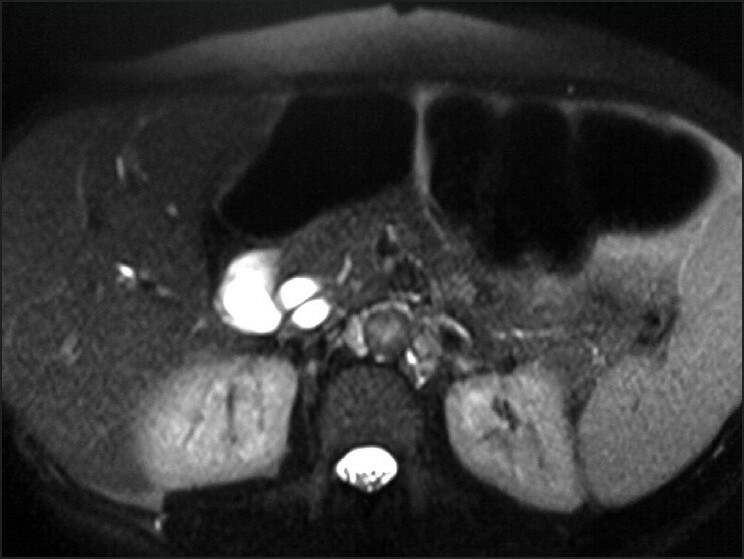 We report a rare case of torsion of a wandering spleen associated with a dolichosigmoοd. Two rare cases of adenocarcinoma of the caecum and ascending colon concomitant with tuberculosis at the same site are reported. The plausibility of an aetiological relationship between the two pathological conditions has been discussed along with a review of the relevant literature. 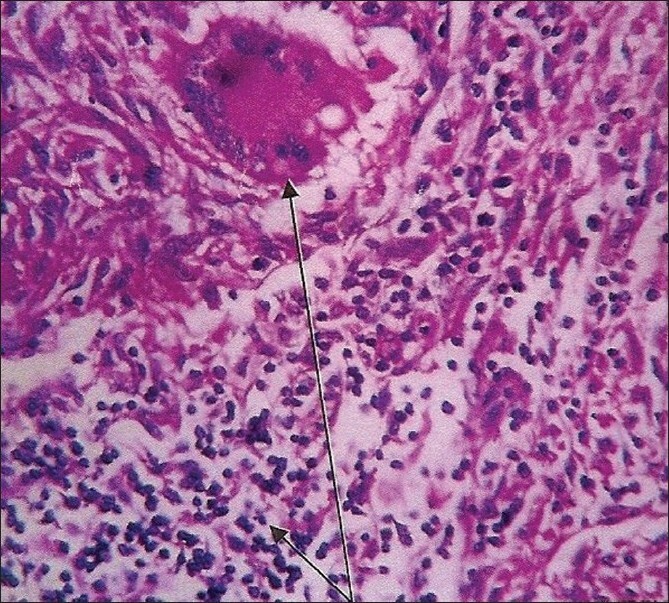 Tuberculosis complicating malignant disease is a diagnostic and therapeutic challenge; and the likelihood of the two occurring together should be kept in mind especially in tuberculosis endemic areas and in patients with equivocal symptoms. A long cystic duct remnant may be found after laparoscopic cholecystectomy. Stone may form in the remnant cystic duct and can cause postcholecystectomy syndrome. Remnant cystic duct calculus may rarely result in postcholecystectomy Mirizzi's syndrome. 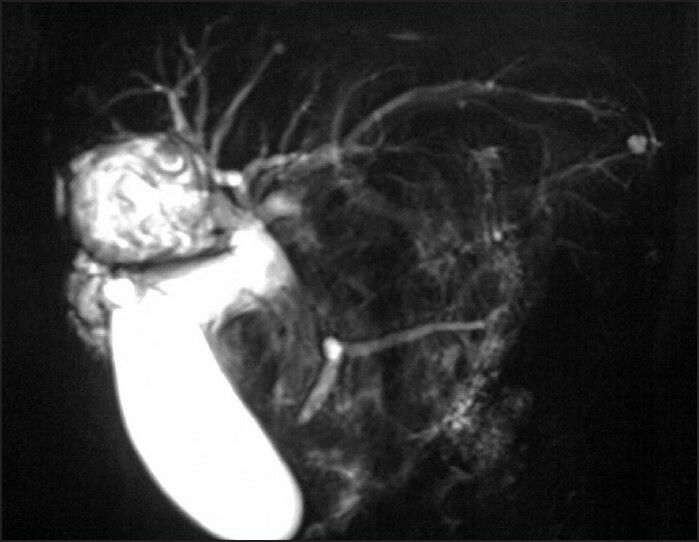 Traditionally, Mirizzi's syndrome has been diagnosed with endoscopic retrograde cholangiopancreatography (ERCP) and treated with open surgery. We report a case of postcholecystectomy Mirizzi's syndrome that developed 3 years after laparoscopic cholecystectomy. A non-invasive diagnosis of Mirizzi's syndrome was made comprehensively by magnetic resonance cholangiopancreatography. 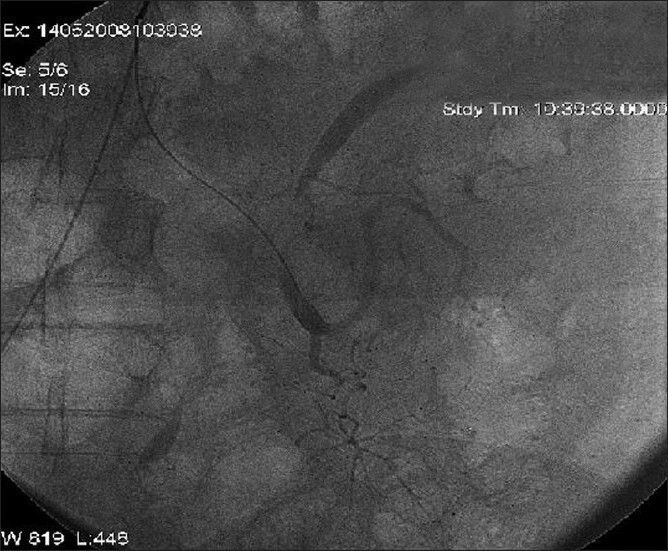 Endoscopic stone removal was achieved successfully with ERCP without any complication. Hepatic involvement in brucellosis is not uncommon since 10-20% of patient infected with brucella species can have abnormal liver function tests. The usual presentation of brucella hepatitis is in the form of chronic granulomatous hepatitis with mild to moderate elevation of liver enzymes, while acute hepatitis is rare. We report a young patient who presented with acute brucella-induced hepatitis and co-infection with dengue hemorrhagic virus resulting in severe elevation of liver enzymes and absence of granuloma on histology. His mother also simultaneously tested positive for both infections. The patient responded well to anti-brucella therapy with normalization of his liver profile. We discuss, herein, the hepatic involvement of these two infections and discuss the possible serological cross-reactivity between brucella and dengue fever virus. Angiomatous malformation is the most common vascular abnormality, accounting for 30-40% cases of obscure GI bleeding from small bowel. Surgical resection is the treatment of choice in severe or recurrent hemorrhage requiring multiple blood transfusions. However, the diffuse nature of the lesions poses a challenge to localize them accurately preoperatively, for exact resection. We present a case in which we have used selective mesenteric angiography with selective cannulation and exact localization of the lesion by injecting dye such as methylene blue, indigo carmine, and fluorescein, to localize the angiomatous malformation before surgical resection and also to determine the exact resection to be done. Decompensated cirrhosis has traditionally been considered a contraindication to interferon and ribavirin therapy. Whereas, the same may be true for advanced cirrhosis, which is only successfully amenable to liver transplantation (LT), there are reports in the literature in which antiviral therapy was given successfully in selected cases of early hepatic decompensation with an aim to attain sustained viral clearance, halt disease progression, and expect potential (though, often, partial) recovery of hepatic metabolic activity. Antiviral therapy may also be instituted to prevent hepatitis C recurrence after LT (it has even caused removal of some patients from the waiting list for LT). Thus, decompensation per se is no more an absolute contraindication to antiviral therapy. Nonetheless, considering that a large proportion of such patients have pre-existing hematological cytopenias, modifications in antiviral dose regimens and close monitoring is required in order to prevent worsening of the same. Although the final sustained virological response rates attained in these patients are relatively low, successful antiviral therapy is potentially lifesaving which explains the need to go for it. In this article, the pros and cons of antiviral therapy in decompensated liver cirrhosis are reviewed with special emphasis on how to avoid antiviral dose reductions/withdrawals secondary to the development of hematologic side effects by using hematopoietic growth factors. Budd-Chiari syndrome is a spectrum of manifestations which develops as a result of hepatic venous outflow obstruction. Transjugular intrahepatic portosystemic shunt (TIPS) is a minimally invasive vascular and interventional radiological procedure indicated in the management of refractory ascites in such patients. Conventional TIPS requires the presence of a patent hepatic vein and reasonable accessibility to the portal vein, and in patients with totally occluded hepatic veins, this procedure is technically challenging. 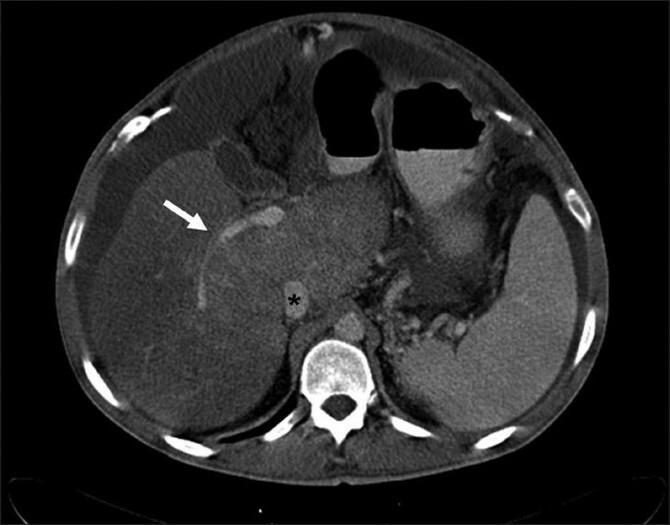 Direct intrahepatic portosystemic shunt (DIPS) or so called "percutaneous TIPS" involves ultrasound-guided percutaneous simultaneous puncture of the portal vein and inferior vena cava followed by introduction of a guidewire through the portal vein into the inferior vena cava, as a deviation from conventional TIPS. Described here is our experience with DIPS. Three patients with BCS who had refractory ascites but were unsuitable for conventional TIPS due to occlusion of the hepatic veins were chosen to undergo the DIPS procedure. Our technical success was 100%. The shunts placed in two patients remain patent to date, while the shunt in a third patient with underlying antiphospholipid syndrome was occluded a month after the procedure. The percutaneous TIPS procedure seems to be technically feasible and effective in the management of refractory ascites as a result of BCS, particularly in the setting of occluded hepatic veins.